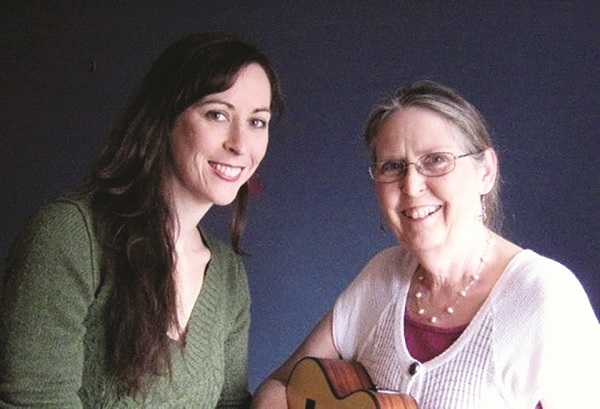 Ms. Reid Naiman, who is now a duo with her daughter Hannah Shira Naiman, will perform this Saturday, April 6, in “Fantastical Musical Imaginations”, the latest installment of the Cultural Centre’s Meridian Magic Carpet Series. Ms. Reid Naiman saw her career begin at the Aurora Public Library. A musician ever since she was a teenager, her love of music took something of a backseat once she started her family. From that chance beginning, Ms. Reid Naiman has gone on to entertain generations of Aurora kids. What started off at the Aurora Public Library has branched into over 15 albums, a popular YouTube channel and a presence on Spotify. Children, she says, gravitate towards every kind of music. You can play just about anything and they will accept it – although, she cautions, not everything is appropriate for the young demographic! Inspired by the earliest forms of rhymes and songs, Ms. Reid Naiman has put a lot of research into what she does, crafting a set that appeals not only to the youngest children, but offers something for the parents as well. It also clicked with Hannah, who started doing music with children professionally about five years ago. Before focusing in on kids, she explored other areas of music, but following in the family footsteps came naturally. The most rewarding part of performing with the next generation, she says, is harmonizing with her daughter and being able to interact on stage with her. Not only is it fun, she says, but they have developed a rapport where they can anticipate where each other is going to take a song, almost every step of the way. Also rewarding for Kathy is the feeling she gets when kids she used to perform for at the Aurora Public Library bring their own kids to a gig, keeping the tradition alive. For more information on Brevik Hall Presents: Fantastical Musical Imaginations, part of the Meridian Magic Carpet Series, including tickets, visit www.auroraculturalcentre.ca or call 905-713-1818.